We are recruiting for a new Consultant to work in the Newark office. The role will be Temoraries Consultant for the Commercial desk. Our normal working hours are Monday to Friday 8.30-5.30 however I am happy to consider someone on reduced hours. If you have always wanted to have a job where you have new challenges every day and see yourself as a part of a dynamic business with limitless opportunities, then this role is going to be ideal for you. We can offer our consultants an honest and ethical working environment using cutting edge technology. We all have a passion for the recruitment business and changing people’s lives. Service based sales experience would be a great asset but I also would like to speak to you if you have a natural sales ability and are a top performer in your field, with a proven track record. Our consultants are targeted on sales and business development which drives performance and earning potential through our commission and bonus scheme. Although much of your day will be office based, you will also be meeting with your existing and potential clients on a regular basis, attending networking events so a full driving licence is required. •	Sourcing candidates and clients for potential roles through advertising, social media and networking. •	Business development for new and existing clients, building relationships with existing and new key contacts. •	Offering advice for both candidates and clients, identifying opportunities for improvement. •	Potentially changing someone’s life!! Reflect Recruitment Group opened in 2006 and have 3 main offices in Newark, Grantham and Lincoln and 1 satellite office in West Bridgford. We are well established within the market and our target areas and have an excellent reputation for delivering high levels of service to both our candidates and clients. We are a small but friendly team who support each other and provide a fun environment to work in. 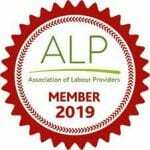 We cover temporary and permanent positions in both commercial and industrial sectors, we are members of the REC which is our governing body for recruitment, GLAA audited and most recently ALP audited and approved. A competitive starting salary with a commission and bonus scheme, private healthcare, pension and training and development opportunities.